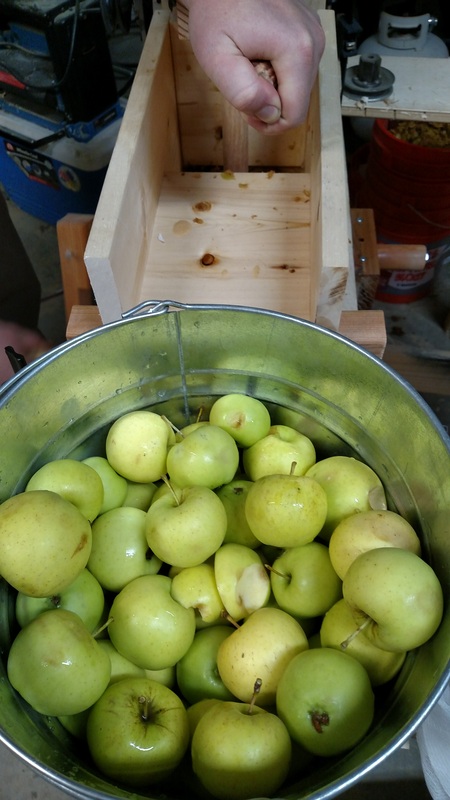 I spent a lovely day picking apples with my parents while Gordon built an apple grinder and press. 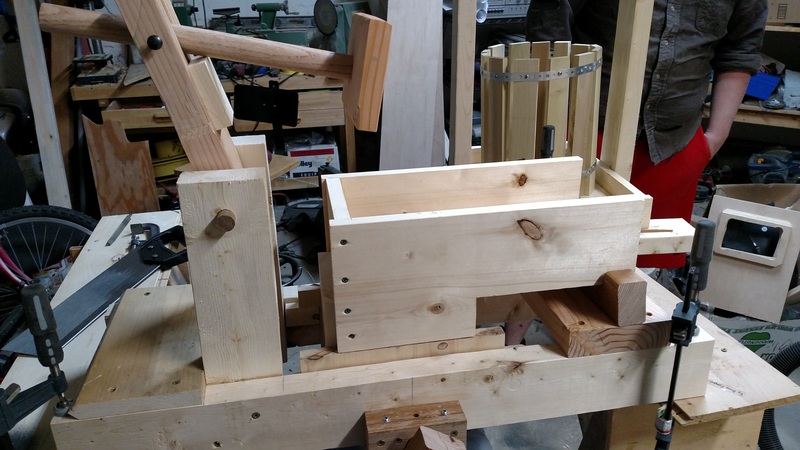 He used these plans from Matthias Wandel for the grinder and designed a small press using a scissor or bottle jack. The grinder worked great with no modification, though after one day of grinding by hand Gordon decided attaching a motor was a better (and only slightly more dangerous) method. 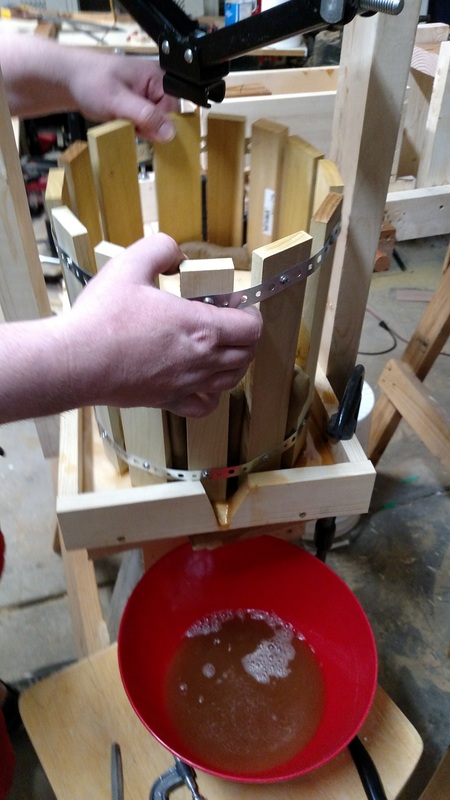 We were able to grind and press four large buckets of apples with a few nights’ work. The golden delicious apples made my favorite cider, but the red delicious had a nice flavor as well. Mostly we mixed the two, and it all turned out really well. We ended up with many more gallons of cider than we could really use (our entire refrigerator was full of cider for days). We gave a lot away and then saved some to make into apple cider vinegar. The grinder and press were easy to clean and store, so they are all ready for next year. ← Happy Election Day (Cake)!